Many invisible microbes like bacteria, fungi and archaea find a way to thrive in even the harshest conditions, including crevices of hydraulically fractured shales a mile or more underground. 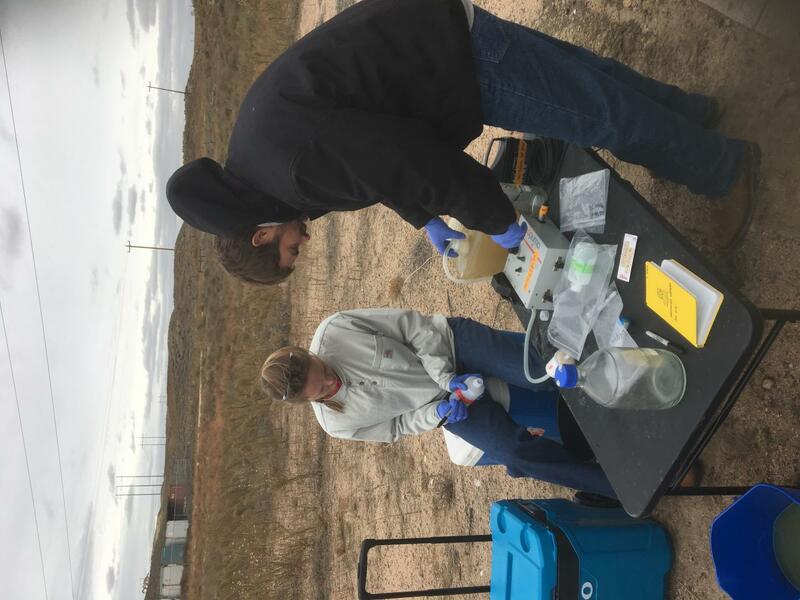 Colorado State University researcher Mike Wilkins is taking a deep dive into the communities of microbes that are introduced underground during the hydraulic fracturing process. His goal is to understand how these microbes drive larger ecosystem functions, both in the Earth’s subsurface as well as other contexts. Wilkins, assistant professor in the Department of Soil and Crop Sciences and a member of the CSU Microbiome Network, has received a five-year, $550,000 grant from the National Science Foundation to study how particular metabolic pathways within fractured shales, mediated by microbes, affect biogeochemical processes like carbon and nitrogen cycling and the generation of methane. The grant was awarded through the Faculty Early Career Development Program, which provides research support for outstanding early-career faculty. Wilkins has studied the microbes that populate fractured shales in prior research he conducted at Ohio State University. He and colleagues previously identified a methylamine-cycling network that appears necessary to support microbial life in those deep, dark crevices, where life somehow persists. Methylamine is a metabolite that some microbes use as a substrate to make methane, which is composed of carbon and hydrogen and is a greenhouse gas. With the CAREER award, Wilkins will sample shale plays across the Western U.S. to interrogate how carbon and nitrogen are cycled within those environments, and to show more clearly how the methylamine metabolism is critical for the persistence of life in the subsurface. Studying microbes in shales will give Wilkins’ team insight into fundamental processes that occur in many other, more complex ecosystems. Wetland ecosystems, for example, have the same methylamine-cycling networks that fractured shales do, but those networks are surrounded by hundreds or thousands of microbial species. In shales, the same processes are mediated by only five or six groups of microbes, so scientists like Wilkins can more easily tease apart which microbes are doing what. Methylamine metabolisms are also present in mammalian gut environments. A comprehensive understanding of how methylamines fuel methanogenesis may also provide new resolution for signatures of life – perhaps yet undiscovered – in subsurface ecosystems, according to Wilkins’ proposal. The NSF-funded project will include the development of a Front Range-based consortium of microbial scientists working in subsurface systems, with the goal of knowledge sharing and collaboration. Assistant professor in soil and crop sciences Kelly Wrighton, and department chair Matt Wallenstein, are also recipients of NSF CAREER funding. How do cells sense glutamine and control their autophagy and activation?